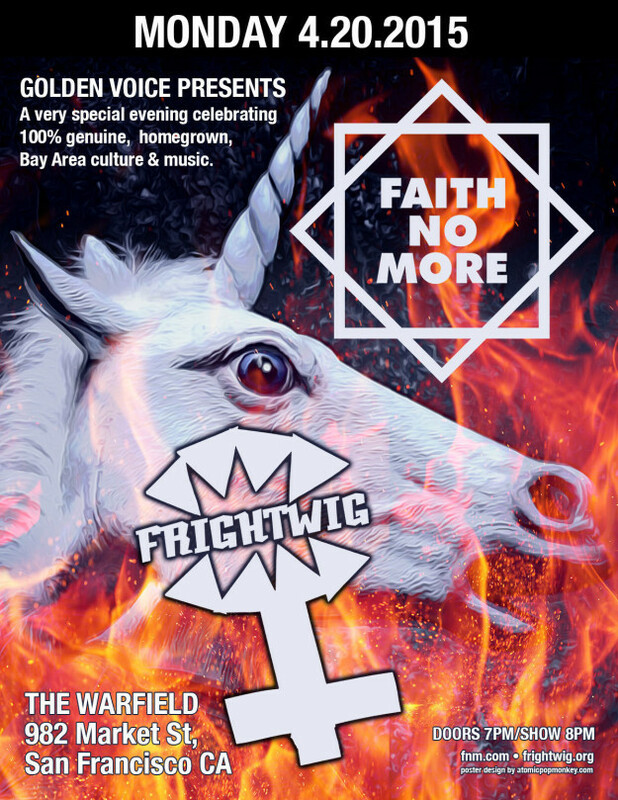 LEGENDARY SAN FRANCISCO PUNK BAND FRIGHTWIG ARE THE LATEST FAITH NO MORE SUPPORT ACT. AT THE WARFIELD 20TH APRIL. Frightwig are a favourite of Roddy Bottum and Imperial Teen and once included former Faith. No Man singer Paula Frazer.